"Efficient Phone Calls, Attending Site And The Job Took Just 25 Minutes!" "Very Polite, Tidy Work , Arrived On Time !" "Very Straight To The Point And Had A Fast Response Time. It Was An Easy Booking!" "Everything. Quick Response And Good Work. No Trouble." 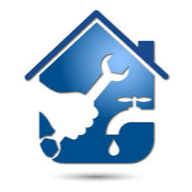 Need a Plumber or Heating Engineer in Warrington?